All the games were good. That’s the key trick Indie Gala and (less so) Indie Royale missed in their hurry to mimic the runaway, yachts-for-everyone success of the first Humble Indie Bundle. World of Goo. Aquaria. Gish. Penumbra. Lugaru. All good games. Even Humble themselves have lost their way on occasion since, but their latest pack was absolutely killer. 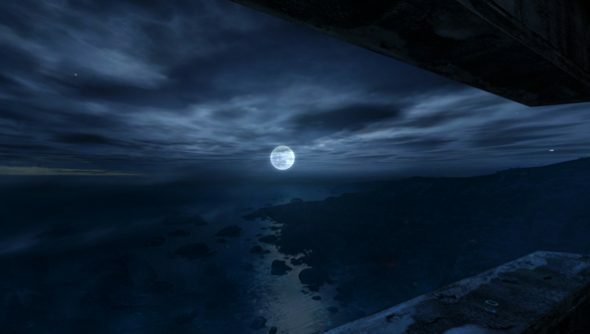 And the inclusion of Dear Esther has paid dividends for developers thechineseroom. “The Humble Bundle has pushed #dearesther sales well over 750,000 copies,” tweeted studio co-director Jessica Curry this afternoon. “Thank you so much to everyone for the support. Amazing. “We always said we’d be delighted with 20,000 sales so this number means a lot to us, as do as all the wonderful emails & tweets,” she added. “One of the great things about being an indie developer is you can really spend the time you want and need on a game without the pressure to release by a certain point. So there’s a lot going on right now that is mainly optimisation and polish,” he wrote. “One of the things that’s important about the Amnesia franchise is you get a top grade game that runs on quite low spec machines, and as we’ve pushed upwards with the visual quality of Pigs, it’s quite a technical challenge making sure that you can drive specs down whilst driving fidelity up. That takes time to get really right, but it’s an investment that’s worth doing.